Duntryleague offers the flexibility to cater for a wide variety of wedding sizes and styles. 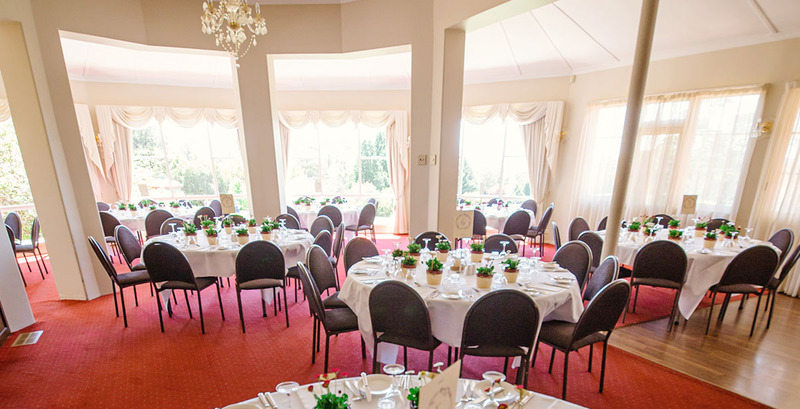 Duntryleague can cater for both your ceremony and reception. Be it a small intimate wedding of 20 guests or a larger celebration of up to 150 people, we certainly have a space to suit. Our beautifully manicured grounds can also cater for marquees of any size. 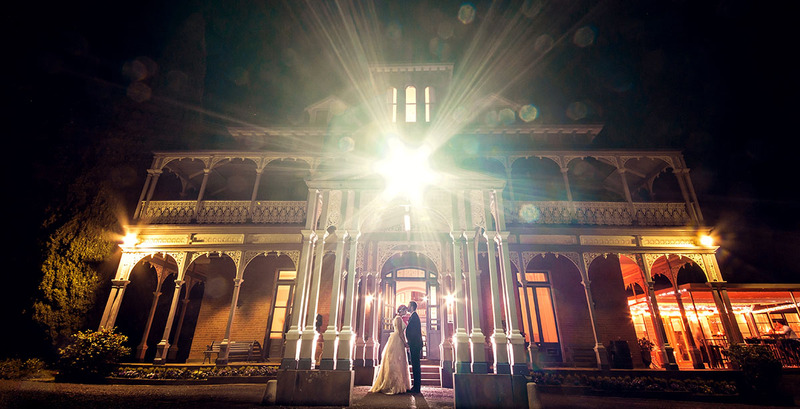 The historic mansion headlines our venue. Built in 1876, it features private balconies, wrap around verandas, a large stained glass window and a glamorous staircase. Equally grand, the picturesque grounds and gardens compliment the testament to opulence of a bygone era. 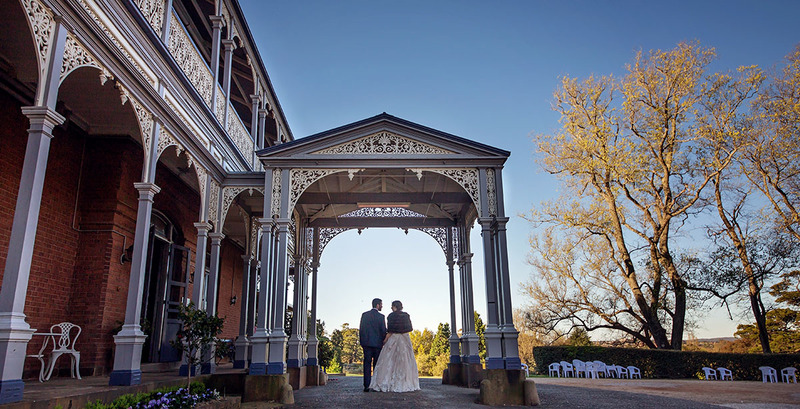 A pleasure and a privilege for us to enjoy today and an amazing place to shoot your wedding photos. 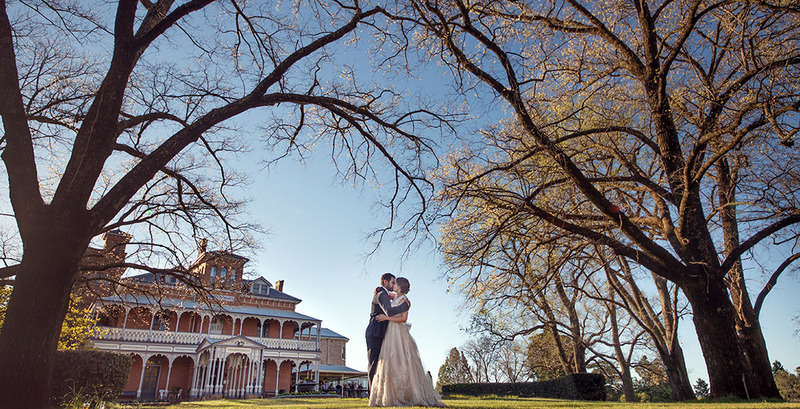 Located on an 18 hole championship golf course, Duntryleague is an elegant venue for your dream wedding day. 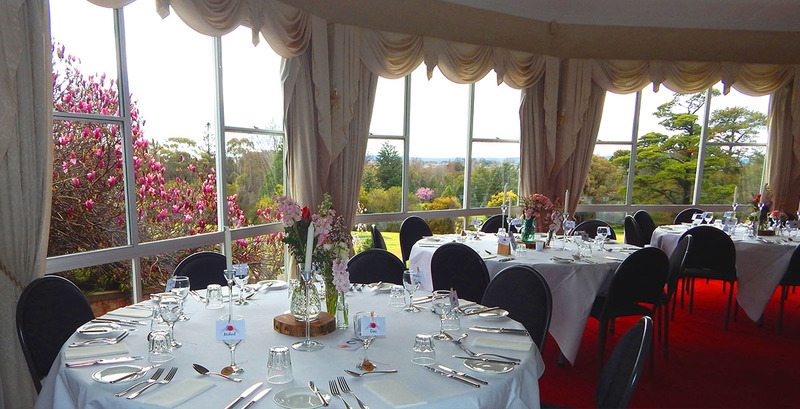 When you hold your wedding at Duntryleague, you benefit from our experienced, dedicated events team. They are there to help guide you through your wedding plans every step of the way. We pride ourselves on maintaining the highest level of service. We remove the stress of planning and organisation so you can relax and enjoy your day. 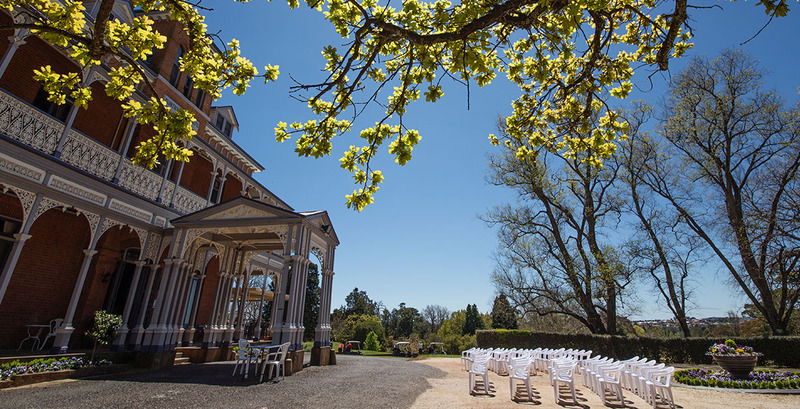 Our events team has a wealth of experience when it comes to organising weddings for couples from Sydney and other non-local regions. We are able to remove the barrier of distance through excellent communication. 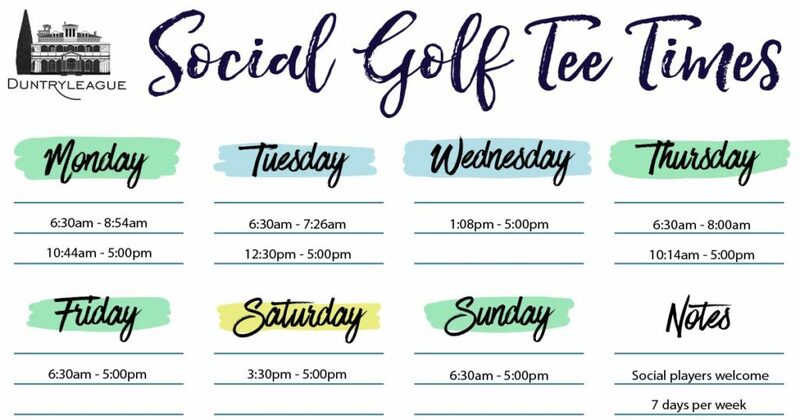 We are able to be your eyes and ears on the ground and connect you with and liaise with other local suppliers on your behalf. Our executive chef is a master at producing plate after plate of the finest quality Modern Australian cuisine. We are so lucky to be situated in the heart of an amazing food bowl. We use only the freshest, and where possible locally sourced ingredients. A wide range of menu choices is available to suit all palates. Our wine lists features award winning local wines. Located in the heart of Orange, Duntryleague has accommodation choices on site. There are many more available nearby, including walking distance, which makes getting home after a great night a breeze. 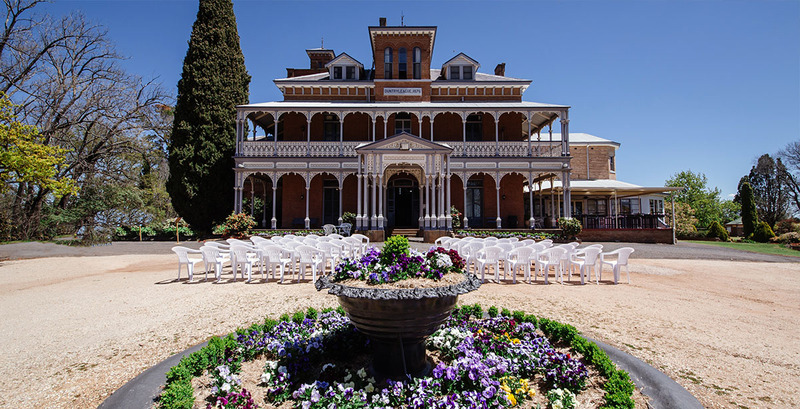 You can consider Duntryleague a truly complete wedding venue. Make contact today to discuss your wedding plans further. More great images of Weddings at Duntryleague can be viewed on our Pinterest page. Any other thoughts you have in mind for your function? Any other thoughts you have in mind for your Wedding?